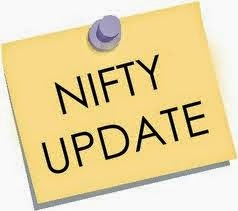 Nifty sensex flat over all trading time today 7550 to 7570, midcap share , reality, auto share gained, ashok leyland, auropharma, power finance, reliance infra most gainers. Tomorrow will be Expiry of Nifty future and option so pressure on market bank , metal infra share was down trend, rupee also week than dollar now trading above 60.20 while made low of day at 60.38. The domestic bourses extended day’s gain in afternoon session of day’s trade, led by gains in index heavyweights such as ICICI Bank, Hindalco, Sesa Sterlite, Tech Mahindra and L&T. This is very crucial period in making the most happening stocks to be introduced so that a best follow up to be installed. • Crude Oil February future is marginally up at $ 53.14 a barrel. • Brent Oil March contract is almost unchanged at $ 55.89.